We are now in the season of celebrating Christmas which is really Capitalism in disguise and at its best. Capitalism has exploited a Christian holiday which in turn is a Dictatorship Religion that has exploited the teachings of a prophet of a man named Jesus Christ. During this season of over indulgence I am reminded of the history of my people and this Traditional Wendat Territory where we now reside in and the influence Religion has played upon the oppression of my people and the similarities our people have with the man named Jesus. This area is one of many where the Christian Religion was first introduced to Turtle Island. This was the Traditional Territory of the Wendat the Anishinabe Ojibways trade partners and allies. Ojibway lived north of Gerogian Bay and relied heavily on the farming industry of the Wendat (Huron) of this area. Sainte-Marie Among the Hurons was a French Jesuit settlement in Wendake, the land of the Wendat, near modern Midland, Ontario, from 1639 to 1649. 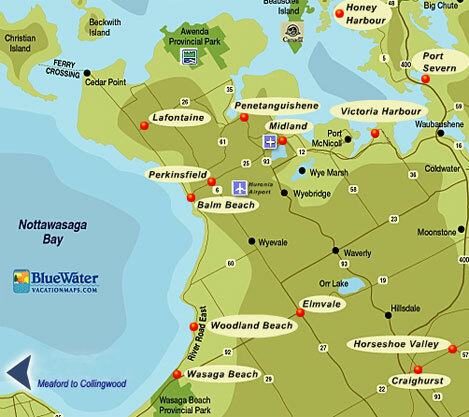 It was the first European settlement in what is now the province of Ontario. Eight missionaries from Sainte-Marie were martyred. Established in 1639 by French Jesuits the mission acted as a centre and base of operations for Jesuit missionaries in the region as they worked amongst the Huron. It also provided an example of a functioning European community to the Huron. 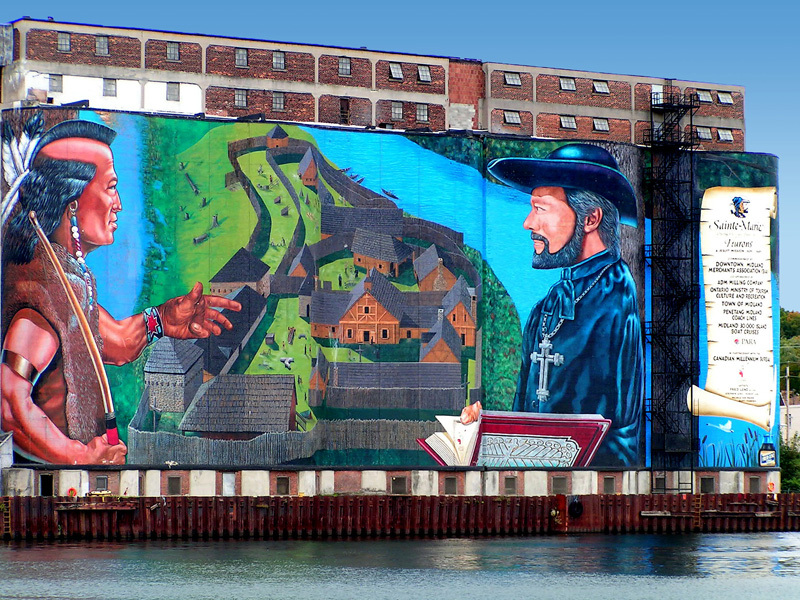 The mission was built near the Huron settlement of Quieunonascaranas, led by Chief Auoindaon. The Jesuits preached the Christian Gospel to the Huron, often adapting the story to local customs and symbols. One of the most famous examples of this was the “Huron Carol, a Christmas hymn written by Jean de Brébeuf. A translated version of this song remains popular in Canadian churches to this day. Iroquois aggression was on the rise. In Iroquois villages Jesuits sexually molesting young girls in Seneca and Mohawk communities. Iroquois also wanted to dominate the fur trade in the northern lands being persuaded by European Influence. When the Huron accepted the Jesuits and Christianity within their communities they became a target of the Iroquois. The weakened Wendat Nation was little match for the strengthened Iroquois who had used their trading alliances with the Dutch to gain firearms. Eight of the missionaries St. Jean de Brébeuf, St. Noël Chabanel, St. Antoine Daniel, St. Charles Garnier, St. René Goupil, St. Isaac Jogues, St. Jean de Lalande and St. Gabriel Lallemant (1649) were martyred in the Huron-Iroquois wars. They were burned alive at the stake by Mohawk Warriors. Owing to the proximity of their deaths to Sainte-Marie, the French recovered the bodies of Brébeuf and Lalemant to be buried at the mission. In 1649, thousands of Huron refugees and a few Jesuit missionaries from Sainte-Marie among the Hurons took refuge during the winter on what is now Christian Island during the Huron-Iroquois wars. 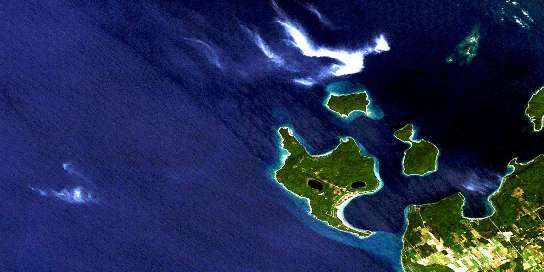 The Jesuits called the island St. Joseph Island. With insufficient food, many of the First Nations people starved during the winter. The island’s occupation by Huron Catholics and Jesuits was the basis for its name of “Christian” Island. Specifically, it was named in honour of the Canadian Martyrs. The Jesuits and most of the Huron refugees left the island and travelled to Quebec in the summer of 1650. The remaining Huron, along with the surviving remnants of the Petun, an Iroquoian group living at the base of the Niagara Escarpment near present-day Collingwood, left the island in 1651. The Petun had suffered serious losses in Iroquois raids in late 1649 and 1650. Their descendants eventually settled in the Detroit-Windsor area. Some were later forcibly resettled by U.S. authorities in Oklahoma. Christian Island is now inhabited by the Anishinabe Ojibway and Pottowatomi peoples of Beausoleil First Nation. Our ancestors were nomadic, traveling from northern Georgian Bay and the United States around Lakes Huron and Michigan. They forced the Iroqouis back south in retaliation of the attacks on their allies the Huron and attempted take over of the Fur Trade in their northern territories. The Ojibway of this area have been defending this area from the Iroquois, British, USA to recent times Ontario Government in the fight for water at Site 41 Elmvale. The early Canadian government tried to assimilate the Ojibway into the larger society. They encouraged the Beausoleil Band to give up their nomadic ways and traditions and take up Christianity. We settled at Coldwater in 1834-1842 as part of the Coldwater Narrows Reserve. Later the Anishinabe were displaced to Beausoleil Island in 1842, and still later, were displaced to Christian Island in 1856, where we have remained. During these times from 1700 to late 1800’s Christianity was introduced to the Anishinabe. The Midewiwwin Society became less relevant and eventually driven under ground. Throughout the oppression of Christianity Anishinabe ways of thinking became polluted. Our People have also been taken away by the Unite and Cathloc Churches put in Residential Schools, stripped of their culture, languages and sexually abused. Mohawk Warrior Society Louis Hall has this to say on Jesus and others, “Ancients like Socrates, Confucius, Chrishna, Zoroaster, a total of 16 “crucified” saviors were all credited with virgin births. This doesn’t add to their lustre but deducts from it as they tend to be regarded as myths by modern, learned sophisticates. Jesus was a man whose teachings were exploited for the gains of a Capitalist Regime, Religion and Government. The man was a rebel who challenged the status quo of the time. Deganiwida was just a man and his teachings were exploited by Capitalist Colonials who made the USA. Jesus and us Anishinabe have a lot in common however Christianity is something that has been used to oppress us and take our lands and divide us and we have been crucified in the name of Jesus many a times. LOL I take it then wishing you a MERRY christmas might be counterproductive. I am able to trace my ancestry back to that migration from the mainland to Christian Island. My ancestral grandparents made that journey to the island in 1649 with roughly 4,600 others (which I understand included some Algonkins who intermixed with the Wendat)and were among the 600 or so who made it out the following spring. Imagine the hell that “christmas” was with the loss of 90% of the community that winter from disease, injury and starvation but on a brighter note they had the Huron carol to cheer them on. Contrary to the history book version of the events (told by the white man), the Iroquois were not motivated in their actions by greed for the fur trade. In fact as I understand it, the Iroquois Nation does not record the events as commonly told from the HIStory books nor do they accept responsibility for the events as portrayed. Some day we will sit together again and talk of these events. Until then allow me to share with you another way of looking at this season that the Christians hold so dear. I can certainly understand why my ancestors were open to the stories told by the black robes of this man they called Jesus and who it was told had brought light and peace into the world. Such stories were not new to us and of course it was common place for these stories to be shared in mid winter around the fire. I am reminded of that time at Site 41 when the OPP were hosting a “Pow Wow”. How strong our young men were to carry that Drum from Site 41 to the OPP Pow Wow that day. A moment of peace in a very turbulent time. While it is also so that the OPP Drum did not accept our tobacco that day “in peace” and further that the First Nation Liaison failed in her promise to allow the ashes from our sacred fire to be mixed with theirs, it remains true that our intentions were that all of our peoples should enjoy a moment of peace and good will. In fact as I write this on this thunder box I am looking down at the wrist band which came to me from that event from the “Canadian armed forces” contingent. It reminds me that even within the midst of madness and greed, peace is possible. Christians refer to Him as the Prince of Peace. Considering everything that is around us, I for one am happy to pause and honor that for this moment and that they are willing to even just for a little bit to be peaceful and kind; as nobly as they can be. Merry Christms and even more so Merry Mid Winter to you and to your kin. Until we see each other again.